We’ve all joked about our friends or family members hiding us in their suitcase when they’ve gone on vacation, but Taylor Swift took that to another level when she literally did get inside of one to avoid paparazzi! It all started last year, when photos came out of the singer’s bodyguards carrying a giant bag carefully into a car. The paparazzi agency that released the photos claimed the pop star was in there, and the internet went wild. It was an iconic moment, and nobody could really work out what was going on. Why was the 28-year-old doing so much to hide from the paparazzi? Was she really flexible enough to stuff herself inside of there? Wasn’t it cramped? How did the 5′ 10″ singer even fit? But now, over a year later, we’ve finally got some answers! Zayn Malik just confirmed to British Vogue that the “Look What You Made Me Do” singer did in fact hide in the travel bag. Whaaaaat? “She was traveling around in a suitcase,” the singer said of her abilities to hide from paparazzi. Now that is some impressive body bending. Zayn, 25, also talked about his relationship with his former One Direction bandmates in the interview. Er, more like non-existent relationship that is. He practically broke all of our hearts when he revealed that he came away from the band with zero friends, and that he doesn’t talk to any of them anymore. 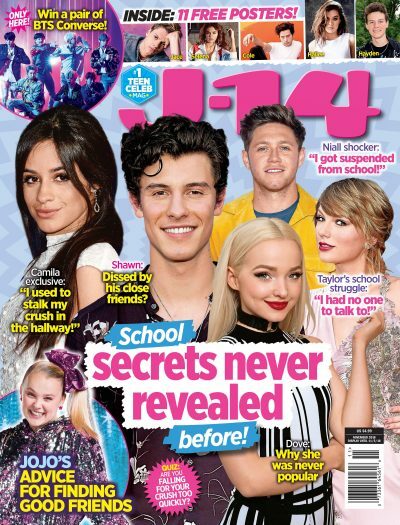 Clearly, Zayn is holding nothing back in the interview, and as much as it hurts to hear that, at least we finally know the truth about the iconic Taylor Swift suitcase mystery!